With mobile reaching more and more hands, it is inevitable for them to use Internet for their daily purposes and needs that could be met with. The trend would leave any business in loss if it does not adapt accordingly, for which the first step is to create a mobile-optimized site. An impressive and effective mobile presence with the help of consistent mobile SEO boosts conversions. WExactly at this point many businesses struggle on how mobile SEO works and what are the ranking factors that matter when making a switch to mobile. This blog is written with the aim to highlight some of these things which are to be paid attention while creating mobile website design. WAs mobile websites are to serve needs and work best keeping proximity factor, context plays a more important role than the content. Being listed locally, having a mapping feature, that can guide the user to your store / shop with the right directions are more important that updating a regular blog (though it still stands a good chance with Google). These features are going to take up your mobile space, so work on each element thoughtfully. WSince the screen size is small, creating a comfortable website navigation is challenging but putting them up front does the task and an expert website designer can do it intelligently without messing with the other important elements of the mobile site. You can also employ ‘Hamburger menu’ or a usual ‘drop-down menu’. 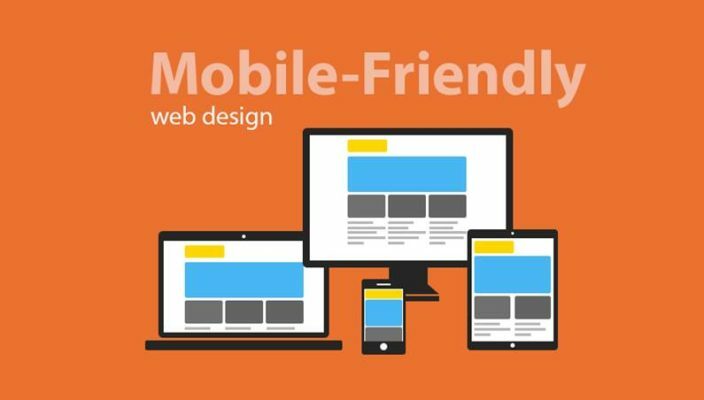 Both these options free up considerable space on screen for you to experiment with your mobile web design. Resist from attractive-looking yet irrelevant navigation options. Simplicity, as in following logical order, often works for best. WSince mobile is a personal device, you can trust it as a personal feedback channel for your service and products. You can offer email id or phone number or feedback form to collect the general sentiment of the customer regarding your offerings and use this as an opportunity to improve on things that can benefit your business. A straight forward and open feedback system can do a world of good to your business and mobile sites can help you do that effectively. WIf your sites have multiple pages and all of those cannot be accessed through navigation menu, including a search function can really improve functionality of your site. Go for Google analytics in addition to site search which can also aid in identifying snags or pitfalls if any. For example, if some page is constantly being reached to through search option, you can consider adding it to the navigation menu.Likewise, you can add content which is being constantly looked for in your site. WAs already highlighted, being the personal devices, mobile devices can reflect the personal views, behavior, and usage habit. You can thus leverage from social content enhancing your online social presence through various social platforms and your business can immensely benefit from you sharing tips, suggestions, recommendations, photos and even reviews on your mobile website.